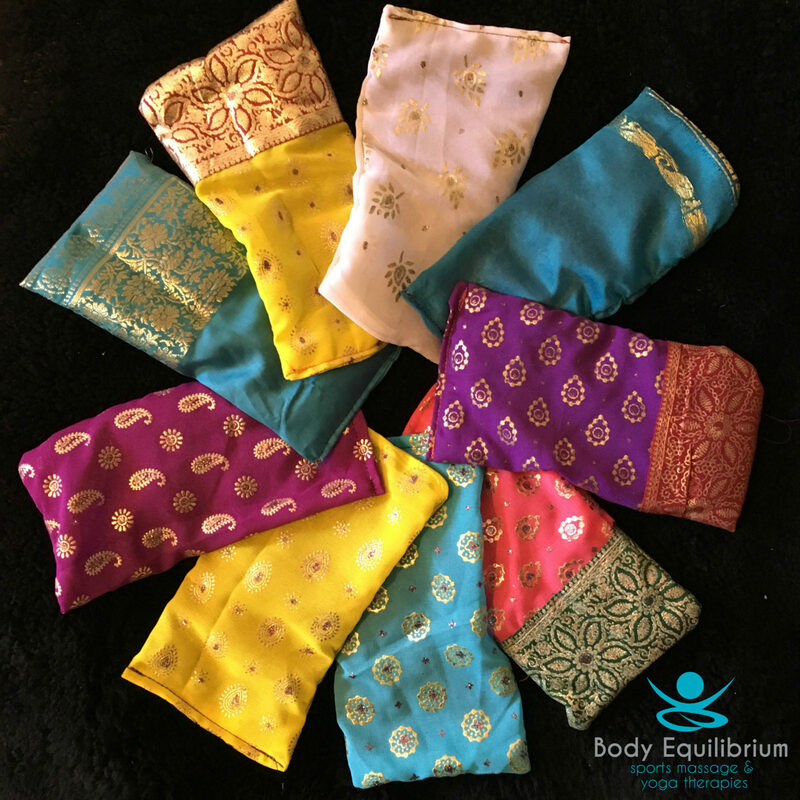 Eye pillows are often used at the end of a yoga class during savasana. They are usually placed over the eyes, to shut out the light and help aid relaxation. The pillows can be filled with flax seed, rice, linseed or even light beans or peas, which means that the pillow can easily mould itself to the shape of the face. The pillows generally contain lavender seeds to help soothe the mind and body. The range of pillows pictured are for sale directly from Body Equilibrium. 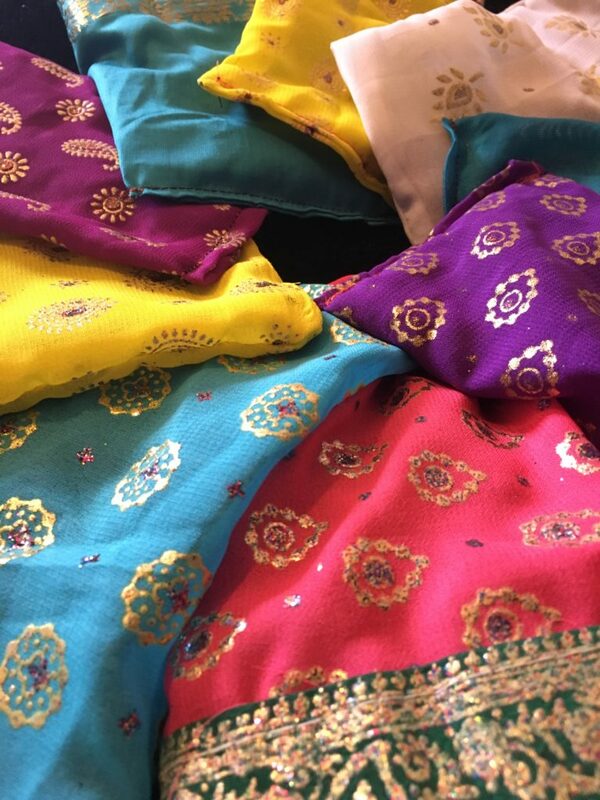 They are made from sari fabric and contain French lavender and linseeds. Pillows cost £5 each. If you would like to purchase a pillow, please contact me via 07494 100165 or info@bodyeq.co.uk. Pillows can be collected from the weekly yoga classes. ← What are RockBlades and how can they help?